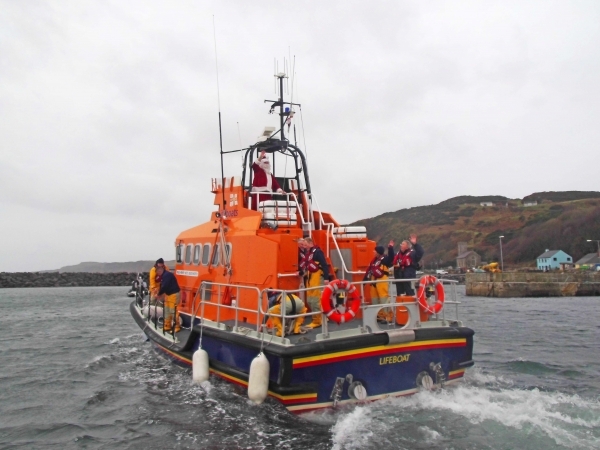 Anyone wishing to get their tanks emptied, please phone Northern Ireland Water on 08457 440088 as soon as possible to get on the list - the lorry will only come over to the island when there are enough households on the waiting list. 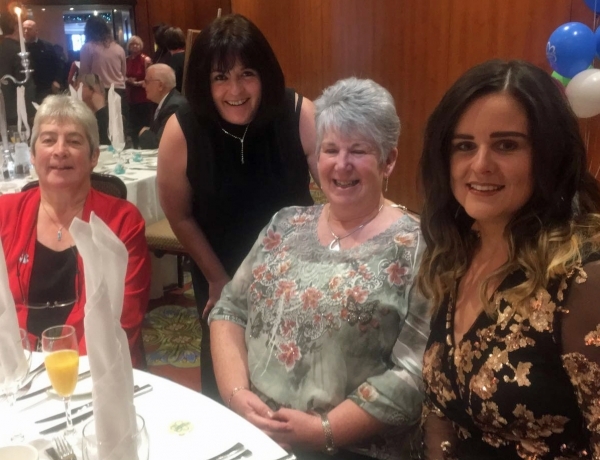 Marina McMullan, Shauna Cecil, Margaret McQuilkin and Aoife McMaster, the Alzheimer's Society Dementia Support Worker for the Causeway area. 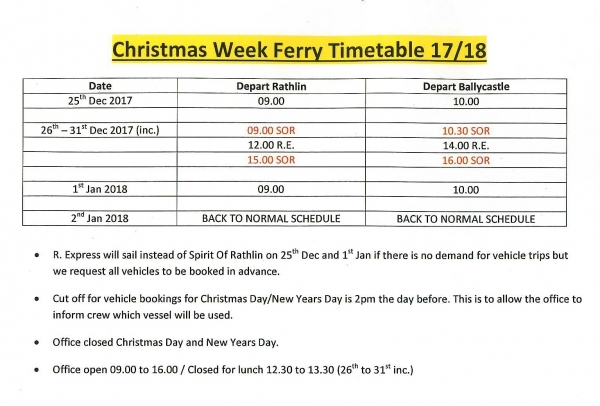 Rathlin Island Ferry Ltd has announced the following timetable arrangements for the Christmas and New Year's holiday period. Black bins will be collected on Saturday 23rd December instead of Christmas Day, and blue bins will be collected on Tuesday 2nd January instead of New Year's Day. 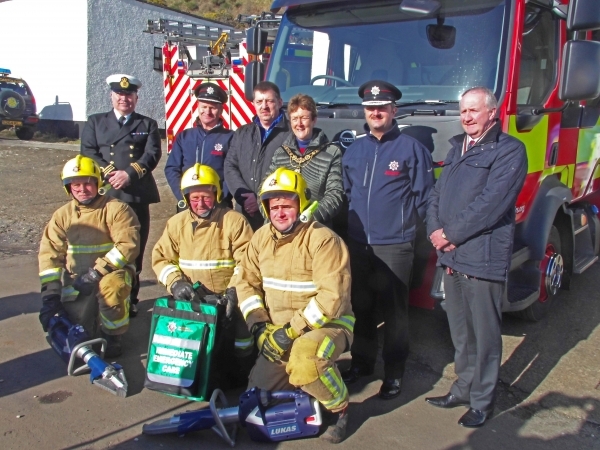 The 2018 Bin Collection Calendar is available here, and copies are also available in the Post Office and Shop. The Resource Centre will close for Christmas 2017 at the end of the day on Wednesday 20th December & will reopen on Monday 8th January. Merry Christmas and a Happy New Year to Everyone!